Sold by GeauxDat and ships from Amazon Fulfillment. 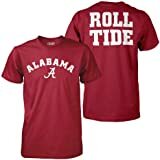 Sold by Sports Accessory Store and ships from Amazon Fulfillment. 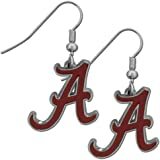 These on classic Georgia Bulldogs Dangle earrings are lightweight and casual fashion earring with a striking team charm. These trendy understated earrings feature a carved and detailed enameled charm. 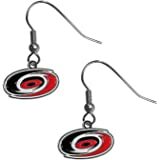 Sporty meets fashion-forward with these spirited earrings that would make the perfect gift for any female fan. 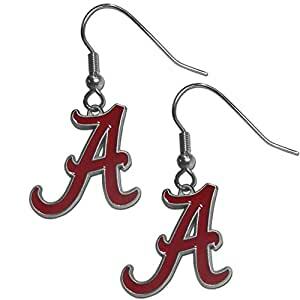 These trendy earrings are the perfect for every day but especially fun to glam up on game-day. 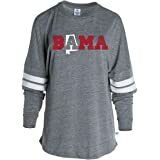 Ordered these for my big sister as a surprise birthday/Christmas gift since her birthday just so happens to fall on Christmas. She's a die hard Alabama/Dallas Cowboy fan to heart. 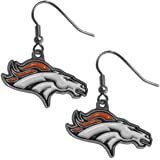 I wanted to get her some Cowboy earrings but these really caught my eye. 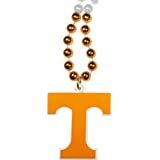 I love um! So cute and adorable. Can't wait to give um to her. 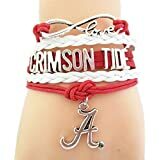 5.0 out of 5 starsGreat gift for the lady who loves Alabama! 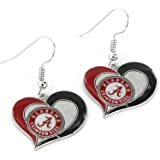 Bought these as a gift for a new bandwagon Alabama fan! She loved them and the next time I saw her she had them on. The size is perfect because they aren't overwhelming next to the face but you can definitely notice them. They don't dangle too low, either, but they move well. They come on a typical earring holder like you'd see on a turnstile in a store so you may want to buy a box if giving them as a gift. 4.0 out of 5 starsActual product looks like pics. Looks good in pkg. 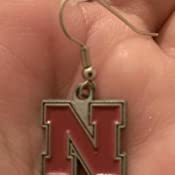 This is a Christmas present for a friend (I'm a Buckeye fan:) Anyway, no telling the true quality til she wears them. Purchased as a gift but loved them so much couldn’t part with them. So pretty. Nice size without being too heavy to wear. 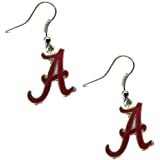 Roll Tide!! 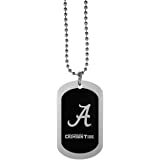 So many compliments on these but I'm a bling-bling fanatic so I embellished it with dog tags and rindstones! 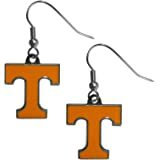 These are cheap earrings. The good news is that they don't cost much, but the bad news is that they aren't worth much. The color is muddled and the detail is well not detailed. The price is right, but that's about all.